house and factory district. His father’s large Italian family runs a food wholesale business and Mike is used to the sounds and smells of men working all night to unload the trains that feed the city. But it’s 1933 and the Depression is bringing tough times to everyone. Money problems only add to Mike's worries about his beloved grandfather who is getting forgetful and confused. Mike is being tormented at school by a loud-mouth named Andy Simms, who calls Mike Macaroni Boy. When dead rats start appearing on the streets, that name changes to Rat Boy. Around the same time Mike notices that his grandfather is also physically sick. Can whatever is killing the rats be hurting Mike's grandfather? It's a mystery Mike urgently needs to solve in this atmospheric, fast-paced story filled with vibrant period detail. 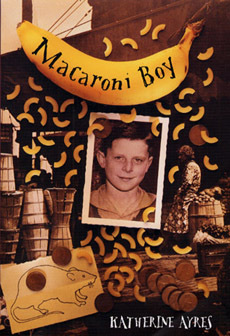 Macaroni Boy begins and ends with the Allegheny River. 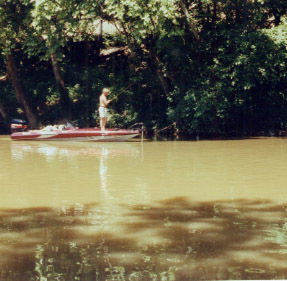 Even before the story starts Mike’s grandpap has been out fishing and at the end of the book, Mike himself is confronting the dirty waters of the Allegheny trying to make sense of what has happened. As a Pittsburgher, I’m surrounded by water and bridges. Two rivers, the Allegheny and the Monongahela, join together here to form the Ohio. I live in the part of Pittsburgh that lies between the Allegheny and the Monongahela and any time I travel more than a mile or two from my house, I’ll see a river flowing past or cross one on a bridge. But my Pittsburgh rivers, while they have the same names as those in Mike’s day, are not the same bodies of water. Like any river, these two are continuously carving and re-carving their riverbeds so that in the 70 years since the time of Macaroni Boy channels and small islands will have come and gone many times. More critically, the water these days is much cleaner than it was in the 1930s. Herr’s Island, famous for its stockyards, slaughterhouse and stench, has been cleaned up and redeveloped with houses on one end of the island and a few commercial buildings on the other. Along the back channel, not far from where I imagined Mike and Joseph confronting the moonshiner, there is now a boathouse and dock as well as an old railroad bridge. When I visited the site to research the story, a heron stood on a piling out in the river as if posing for a photograph. If a heron can fish there, the river is truly alive again with a healthy population of fish. Like the rivers, the Strip District has also changed since Mike’s time. In his day, the neighborhood included more homes than it does now, although people are beginning to move back and use some of the old industrial buildings for lofts. 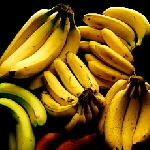 Back then most of the businesses were either manufacturing companies or wholesale food merchants. Today the Strip District is a bustling, thriving food district that attracts hundreds of retail shoppers each day. You get hungry just walking along the streets. So yes, I enjoyed researching many parts of this story. 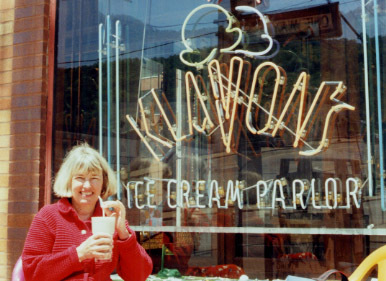 Especially Klavon’s Ice Cream Parlor, which makes the best chocolate milkshakes in town. I know, I’ve sampled them often. Not everything in Macaroni Boy was easy to write about, however. The hunger and poverty of the Great Depression was tragic and severe. Although my parents lived in Ohio at the time, they have shared stories of their childhoods, lived under the shadow of economic disaster. And like Mike, we had a family member who suffered from dementia, who could remember odd things that happened thirty years ago but not what he had for breakfast. It is a cruel and harsh disease because it takes away memory and without memory, a person loses track of who he is. Probably the most amazing part of this story is the banana explosion. There really was one, in December of 1936, and it blew out windows of buildings for a block in every direction and bent the domes of Saint Stanislas Church. If you’ve read the book, you’ll remember that the cause was only partly understood at the time. To this day, that remains a mystery! And I like a mystery.